Q: As a sportswriter, what was your main aim? Was it to inform, to entertain, to set policy? How did you envision the main gist of your role as writer? Mike Babcock: My aim was never to set policy. And I believe this to some extent: you’re almost an entertainment writer more than anything. Because the newspaper during football season always sold more copies than at any other time of the year, and I don’t think that probably changed the thinking that appealed to me most about the job. And I still maintain this, because I’ve done it for more than thirty years, but my interest has never really been the outcome of any games: the thing that’s kept me doing this is the people involved. 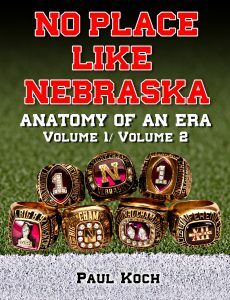 I was impressed and interested in the people involved in this project that is Nebraska Athletics. I loved those things, because you’re dealing with people. Football has more interest overall with people in the state, but volleyball athletes, track and field athletes, golfers, whatever, it’s the people that make it interesting. The good thing about football, I guess, when you have 150-180 guys on the football team you’ve got that many stories. 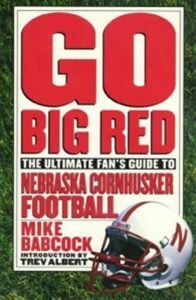 You could talk to Darren Schmadeke and get a good story from him just as easily as getting a good story from Jarvis Redwine. So that’s what’s always driven me to do it. It’s the people. To some extent, I guess, that’s the appeal of it, completely, for me. The other thing I learned, also, is that no matter how much you think you know about it, there’s somebody out there reading the newspaper who thinks they know more about it than you do. Now, it might not be that many people, but there’s always somebody out there who knows more about what you’re writing about than you do. Newspaper writers are generalists more than anything. I know a little about a lot of things and I have access to things other people don’t have access to. 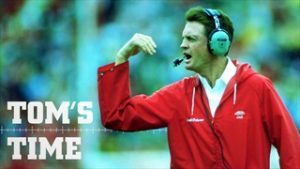 For example, when Nebraska had the Lincoln Parents program you could interview Turner Gill and you had access to him and you were around practice every day, but obviously Bill Wright knew more about him than you do, because he’s the Lincoln parent. The same way with coaches. You can talk to them on a regular basis but maybe Charlie McBride goes down to the Tam O’Shanter and he’s got some drinking buddies down there and they know more about what’s going on than you do. So there’s a certain humility you have to have about it, I think. Because there’s always the danger of being a sportswriter -when you’re covering something that people are so passionate about- that somehow you’re important. Professional wrestlers call it a ‘rub.’ You get known, you get a ‘rub’ by associating yourself with somebody well known, like when they have WrestleMania they have Pete Rose come in to be the special timekeeper for something like that. MB: Is that right!? (laughs) Then you understand then. Another thing that always fascinated me was professional wrestling, even since I was a kid. Q: Hey, mind if I tell you a story about that? 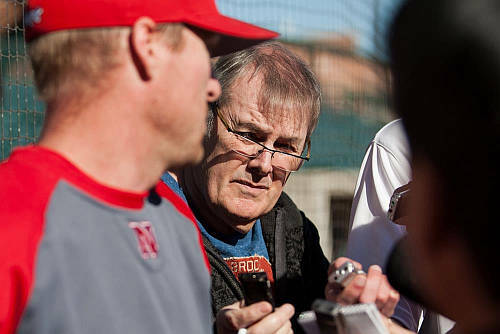 MB: (laughs) No, I don’t think Pete Rose had a betting problem. (laughs) It was obvious. That Prince Valiant haircut? He didn’t have any betting problem. (laughs) That’s why the WrestleMania, that’s why they always had those celebrities, and the Pete Rose thing would rub off on the WWF. And I think the newspaper reporters and TV guys to a lesser extent, you start to think that what you cover is so important to people, you start thinking you’re important. It’s one of the few perks you get working for a newspaper, because it doesn’t pay that well. If your ego gets stroked that way, I guess it’s not a bad thing. But you have to pay attention to it to some extent because people are not interested in you. You’re just the guy who has access to things that other people don’t have. I’ll give you a quick story about that: I do this Big Red Wrap-up thing on TV about once a season. 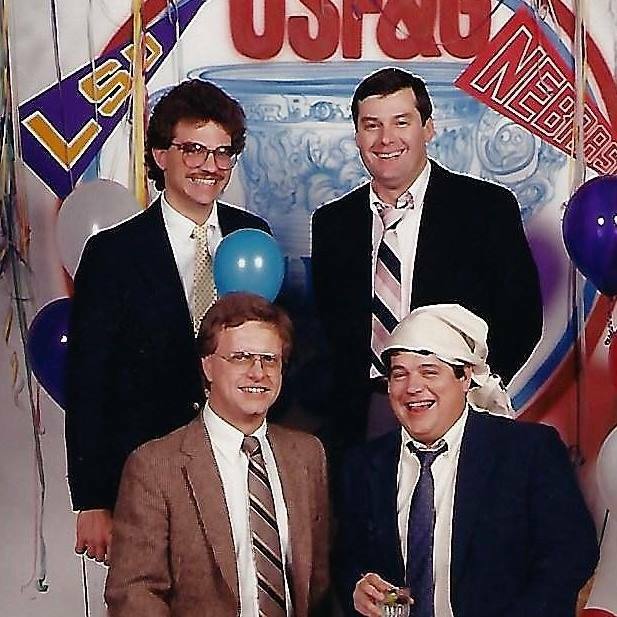 They have me on there -there was times I’d be on there twice- but once or twice in 52 weeks I’m on there, and Nebraska’s at the Alamo Bowl game. (And I love the Alamo and have been there multiple times) And I’m walking through the Alamo on a Friday afternoon and there’s people everywhere, and some lady walks up to me and says, “Hey, you’re on Big Red Wrap-up” and she looks at this group of people and says, “Hey, he’s on Big Red Wrap-up”, and she’s from Sidney or some place out west. Now, what does that say? I’ve worked at a newspaper for seventeen-some years and I probably get more recognition by being on Big Red Wrap-up on TV once per year than for 17 years at the newspaper. But what that shows you is that if you’re associated with Nebraska football it gets you recognition. Now, I haven’t worked at the Journal-Star since 1995 and I’ll still go in the grocery store today and people will say, ”How are things at the Journal-Star?” (laughs) And I’ll say, ‘Well, they’re great.’ (Because I do maintain great contact with those people) And they say, “We really enjoy reading your stuff in the newspaper.” And I haven’t written in there since ’95, but that’s just the association when you’re a sportswriter-journalist. You have to keep it in perspective: It’s not about you. People don’t think you’re important because of anything intrinsically, it’s because of the program. And one other thing I’ve learned that applies to sports coverage is that you don’t realize how much power you have when you put things in print. You’re always going to affect somebody. Q: Any column you ever wish you could take back? MB: The things I always wished I could take back was usually just poor editing or mistakes, a poor job of writing things on my part. I got to the point where I spent a lot of time on it. (I was never good with deadlines and I’d always push it to the end.) I always re-read it and polished things, which you’re not supposed to do. But the thing that just killed me were the mistakes, the factual or grammatical. So it got to the point where I’d write the story and work as hard on it as I could, but once it got into the paper I wouldn’t read it because I didn’t want to see my mistakes. But I don’t think I ever wrote anything I regretted. I remember one day after practice when Tom had his little meeting with reporters. We got done with the interview and as we’re walking away Tom stopped me and said there was something in the paper the previous day. He said, ”It wasn’t a big deal, but you misquoted what I said there.” I’m not sure if I misquoted him, but from that point on I recorded every interview. I bought a tape recorder and recorded it. Not because that I wished to turn around and say, ‘No, I didn’t misquote you,’ but because I wanted to make sure that I did have it right. MB: Right. (laughs) Right! I think Tom was always aware of it, and I had tremendous respect for Tom from the beginning and I was never very comfortable around him because of the respect I had for him.